I found out about Terre Bleu a few summers ago while researching the town which we’ve since moved to. It had been on my radar to check out and I finally crossed it off my list this year! 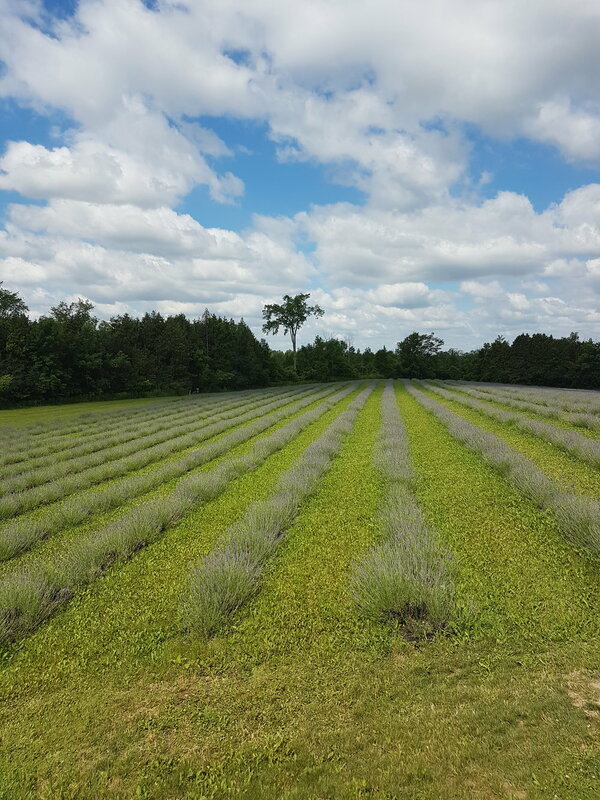 Terre Bleu is a Lavender Farm in Campbellville, Ontario but it might as well be a scene straight out of the Wizard of Oz. It really was one of the most beautiful places I’ve ever seen. Rows and rows of lavender in varying shades of purple. The smell was unexplainable and the treats and novelties sold in their gift shop were AMAZING. 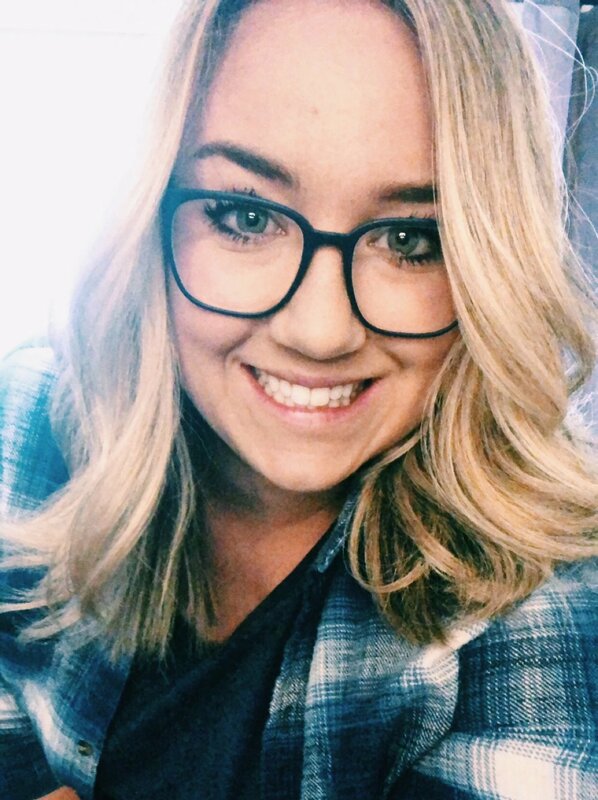 I enlisted my good pal Nicole to take the trip out with me and we had the BEST day! It was a warm day in July and the sun was shining, we could have spent hours in the lavender fields just taking it all in. We arrived about 15 minutes before the farm opened and waited on a country road to be directed to the parking area. There was already a HUGE line up full of people with a love of lavender or a love of Instagram likes. Nonetheless, we waited to pay our admission fee and headed in. 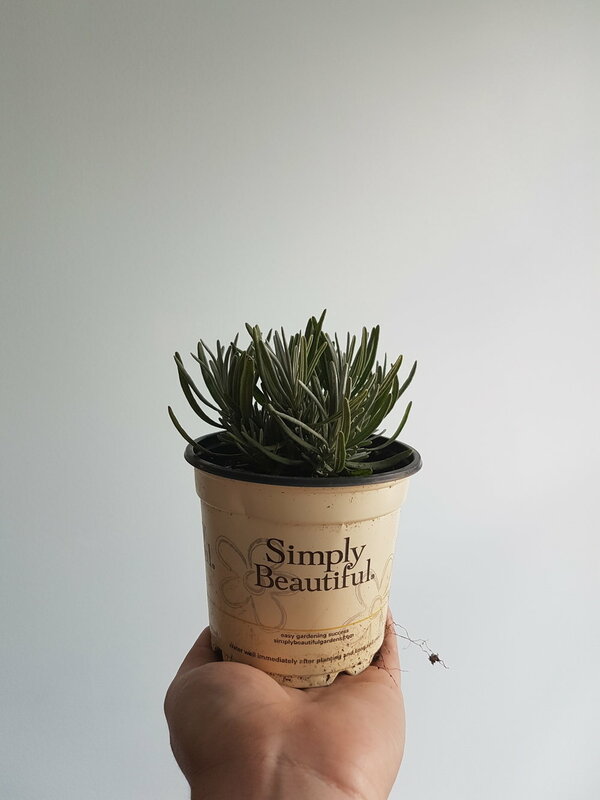 We checked out the gift shop first and took inventory to decide what we would undoubtedly buy before the day was done and then headed down to the fields to take in the sight and smell of the beautiful lavender plants. 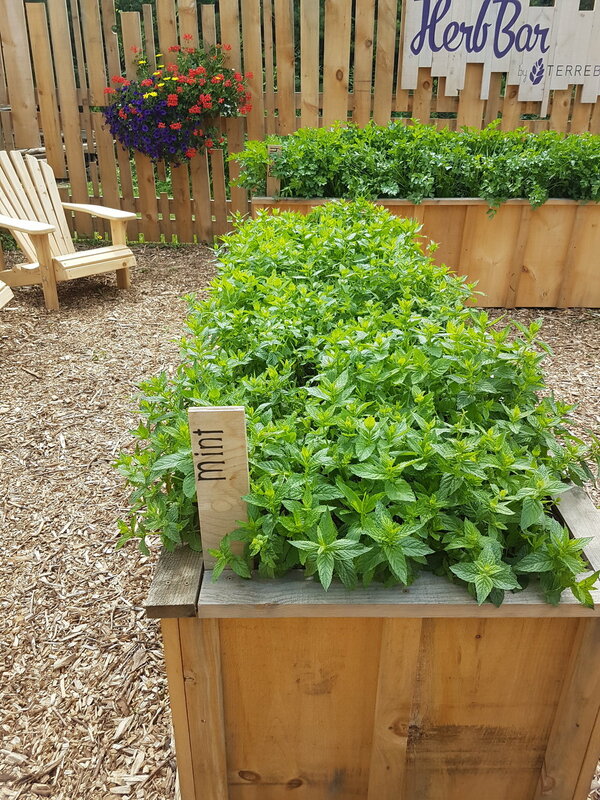 Terre Bleu also plays host to the cutest herb garden and a little bee apiary so we took a peek before the crowd rushed in. We opted to explore on our own rather than taking a guided tour so that I could snap some extra photos and so we could catch up while we sauntered through the grounds. 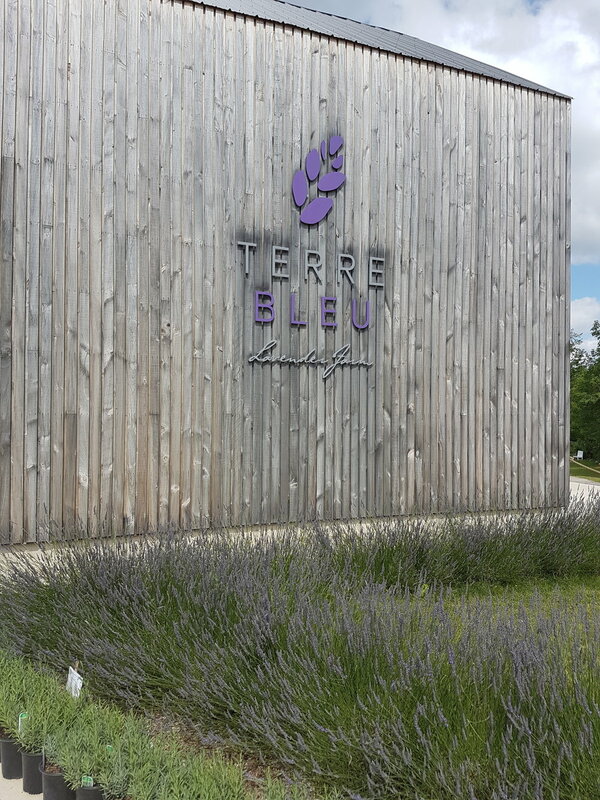 We found ourselves inside of the distillery where Terre Bleu extracts essential oils from the plants to use in their products such as bath bombs, room spray and even shortbread cookies. We found a staff member nearby and asked about the distilling process and they happily explained the process which sounded like an intense science experiment. 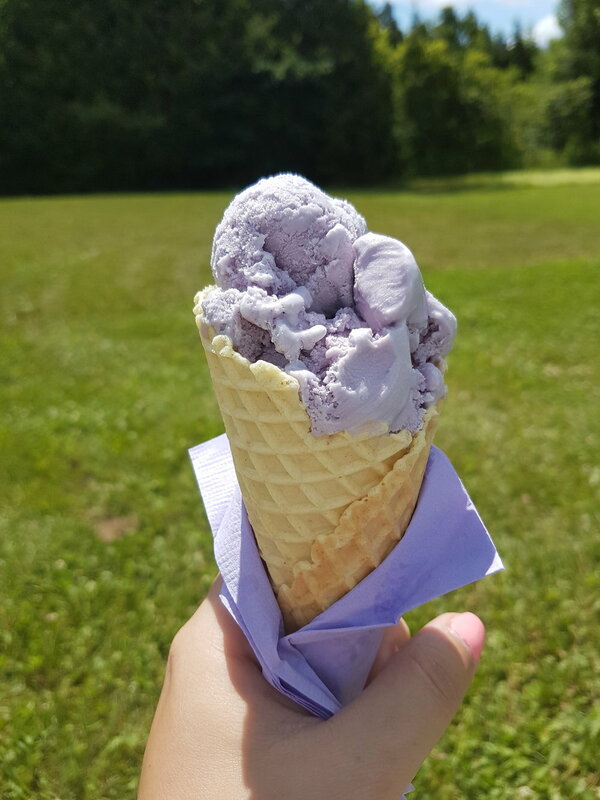 After walking through the Yellow Bench Trail and taking some photos in the Yellow Door Field, we headed back to the barn to sample some Lavender Ice Cream and Lemonade while we listened to a father-daughter duet sing some folksy tunes. The floral flavour of the ice cream definitely threw me off guard at first but it grew on me! Before we left for the day, we checked out the gift shop one more time and obviously I bought more lavender products than I’ll ever use in a lifetime but YOLO. My personal favourites were the lavender mint lip balm and the lavender sugar scrub. The lavender season is done for this year but you’re going to want to set a reminder for next July because you HAVE to see this place.